Imagine you’re driving a Ferrari. You’re going really fast, cruising up and down mountain passes, with nothing in your way. Then it starts to rain. The only problem with your Ferrari is that you don’t have windshield wipers, so you can’t clear the rain from your screen and everything in front of you becomes a blur. As a result, you’re forced to slow down. You have to go so slow, in fact, that the slowest car on the road can go faster than you because they have windshield wipers. The same holds true when it comes to your business. You could be the best, fastest-growing company in the world, but unless you have visibility into the road ahead, you can’t move very quickly. You’re basically stagnant. And that’s where the importance of talent analytics comes in. The reason we spend so much time and effort on analytics is because they’re the windshield wipers for business. They create visibility into what is happening with your business and insights on where you should go next. With analytics, you can continue to cruise along as conditions change; without them, you’re stuck. Historically, metrics have worked as a reactive tool – the road in front of you is pretty blurry, and you need a way to get everything into focus. Reports are pulled and data is manipulated – mainly through Excel-based reports. This isn’t the best strategy. You ultimately get to see the analytics once a week, or perhaps worse, once a month. That’s basically the equivalent of driving your Ferrari in the rain and reaching around the front of the windshield with a hand towel to wipe it off. You get a brief glimpse of the road ahead and you try to move in response, but moments later you’re back in the fog. When companies are in this fog, they typically rely on intuition to solve challenges. Their leaders have faced similar situations a few times, so they believe they know where all the turns in the road are. They think, “We know at this time of year we hire X amount of staff, and at another time of year, another amount.” But, making such critical decisions based on intuition is not very accurate, and you may end up hitting a wall. Just as you need a full panoramic view while driving that Ferrari, businesses need a complete, real-time picture as well. With predictive analytics, you can to see what’s coming and what will happen in the future, along with the operational intelligence to see how the business is currently functioning. Combine that with the ability to access data whenever it’s needed at a moment’s notice, drawn from multiple sources – such as the applicant tracking system (ATS), candidate relationship management (CRM) platform, vendor management system (VMS) and human resources information system (HRIS) – and you gain complete visibility needed to make the best talent decisions possible. When equipped with the right analytics tools, companies can see through the mist and know what’s coming towards them based on their own data. That’s why analytics are so valuable. Whether it’s a sports car or a top-notch operation, all of that comes to a halt, or becomes very slow and difficult to maneuver if you don’t have visibility. 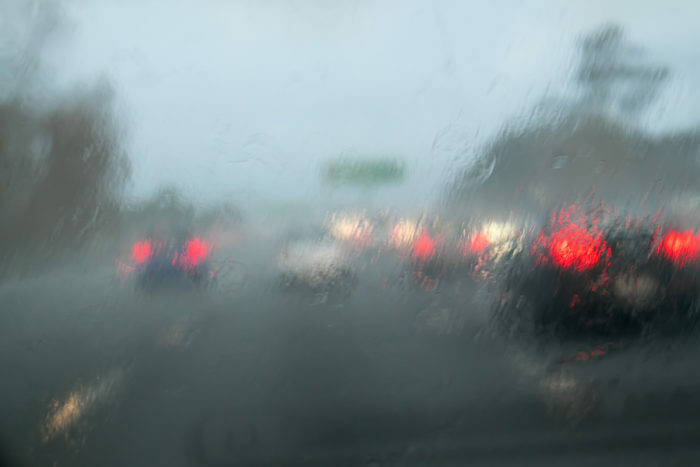 Analytics serve as the windshield wipers, providing the visibility to see all the turns in the road and revealing a clear path forward. As Global Head of Technology and Analytics for Randstad Sourceright, Jason Roberts leverages more than 15 years of leadership and recruiting expertise to identify and implement technologies that will ensure jobs get filled quickly and efficiently. Drawing on his extensive experience in big data, Roberts also focuses on the thoughtful application of analytics, Artificial Intelligence (AI) and predictive technologies to drive action through automation and data-driven insight by the recruiting team. He is responsible for ensuring Randstad Sourceright’s recruitment process outsourcing (RPO) division carries on the company’s tradition of exceptional service delivery, vital diligence and industry-leading support.